When Bushiroad first set out to franchise Cardfight!! Vanguard seven years ago, they began by setting up workshops and demo locations across Japan where prospective players could try the game, and walk away both with a demo deck and a chapter of the manga. This practice carried over when they brought the game westward, and many veteran players will recall seeing the beginner's guide (and its very rough translation compared to Vertical Inc.'s final release) at regional qualifiers, and other events. International versions of the manga used key art of Sendou Aichi under the influence of PSY Qualia for the front cover, and the back cover featured an ad for the then-new Extra Booster 03: Cavalry of Black Steel. 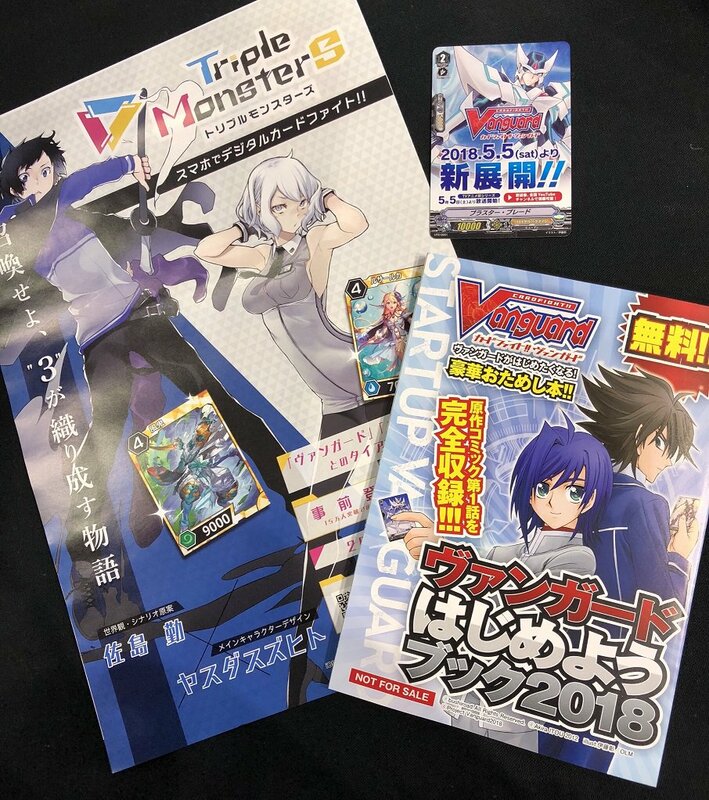 Like many of the game's older traditions, Bushiroad is bringing the beginner's guide back for the series' 2018 reboot. 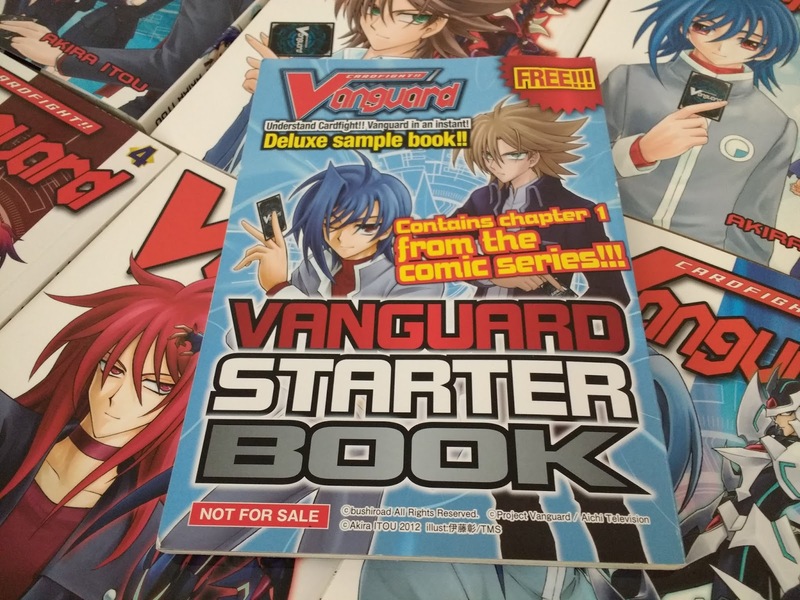 The new book carries the familiar "Not for sale" stamp, and is titled Let's Start Vanguard 2018. It features the unmodified first chapter of the manga, along with an updated players guide that explains the new Gift mechanics. Thanks to the manga's loose-approximation approach to cardfights, the story translates easily to the Standard ruleset new players are learning at the workshops, as author Itou Akira didn't dwell heavily on numbers for the introductory chapter. The beginner's guide will come with the same Blaster Blade promotional card currently being handed out with Stardrive Start Decks in Japan, and is being distributed for the first time at the Anime Japan 2018 convention.